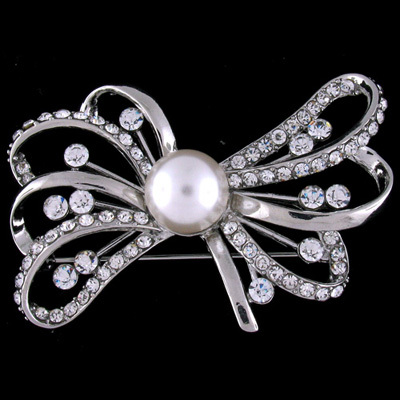 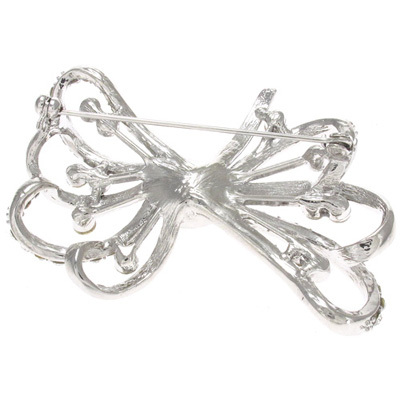 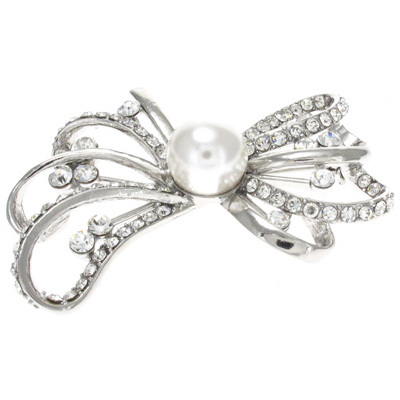 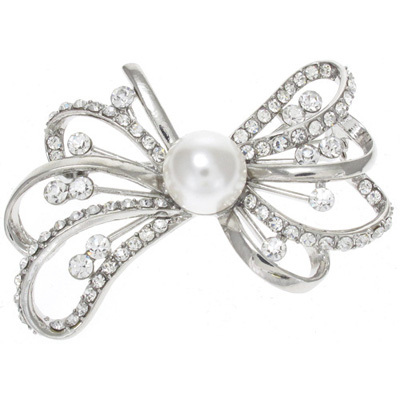 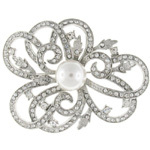 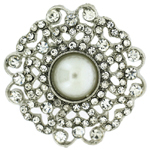 Vintage bridal brooch featuring clear crystal encrusted bow enriched by single faux ivory pearl to the centre on silver toned frame and fastens with a flag pin and revolver clasp. 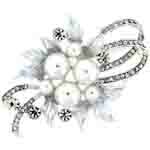 Size: 5.5 x 4 cms. 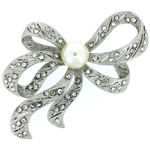 It looks fantastic at proms and other special events.